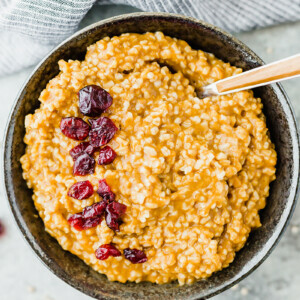 Pumpkin Steel Cut Oats are a healthy and flavorful breakfast full of pumpkin puree and fall spices. 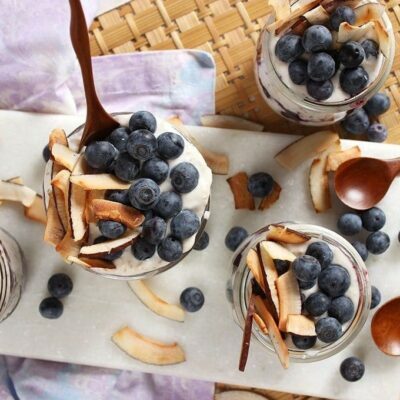 It’s time to put the cold cereal away and make room for a heartier and healthier breakfast. 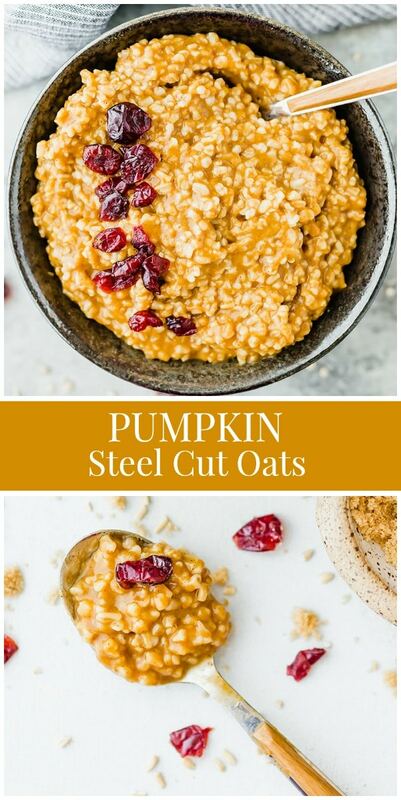 If you find yourself eating breakfast at 7 am and grabbing second breakfast by 8:30 am (been there, done that), it’s time you give these pumpkin steel cut oats a try! They will keep you full for a long time. I personally love the chewy texture of steel cut oats. Add some pumpkin puree into the mix (always a good idea! ), and I’m one happy camper! Steel cut oats take a little more time and patience to cook than your typical rolled oats. However, there are some health benefits to selecting steel cut oats over the rolled oats or your quick cooking oats. Steel cut oats are minimally processed. Old fashioned rolled oats are steamed and then rolled flat. Because the old fashioned oats are rolled flat, they require less time to cook. Steel cut oats are never cooked, rather they pass through a steel blade and the grain kernel is then cut into thin slices. Because of this, the steel cut oat retains more protein and fiber. 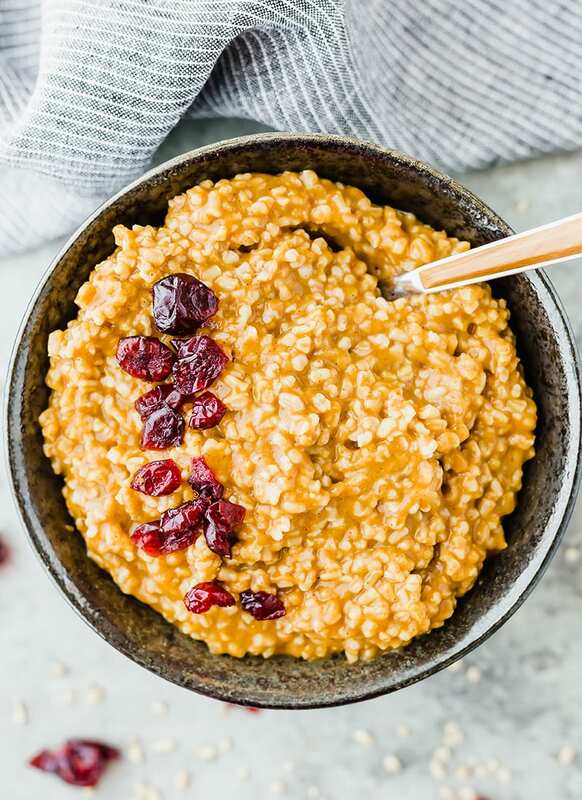 Steel cut oats require more cooking time (15 to 25 minutes) because they are larger and not steamed and flattened like old fashioned oats are. 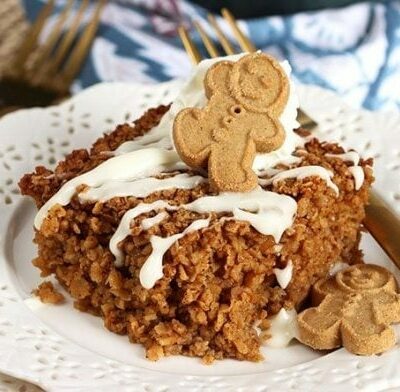 In a saucepan add water, steel cut oats, a pinch of salt, pumpkin puree, cinnamon, and pumpkin pie spice. Bring the mixture to a boil, then reduce the heat to a simmer. Cook for 20 to 30 minutes. The longer you cook the oats, the thicker the mixture becomes. When the pumpkin steel cut oats have reached your desired consistency remove from heat. The mixture will thicken as it cools. 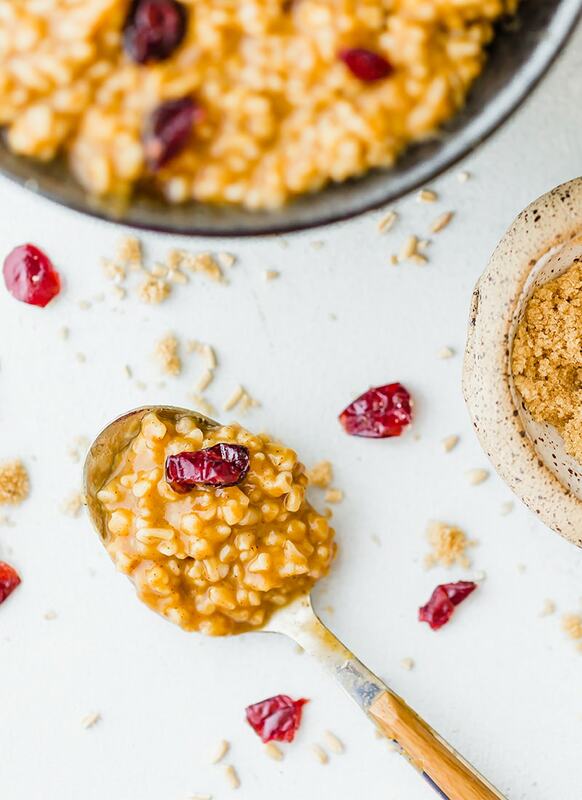 Eat your pumpkin steel cut oats immediately, or add a sweetener such as brown sugar, maple syrup, or honey. You can also garnish it with raisins, dried cranberries, or pecans. 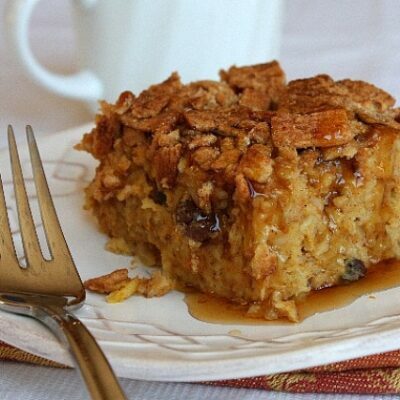 A delicious breakfast for you to make this fall! It's spiced to perfection! 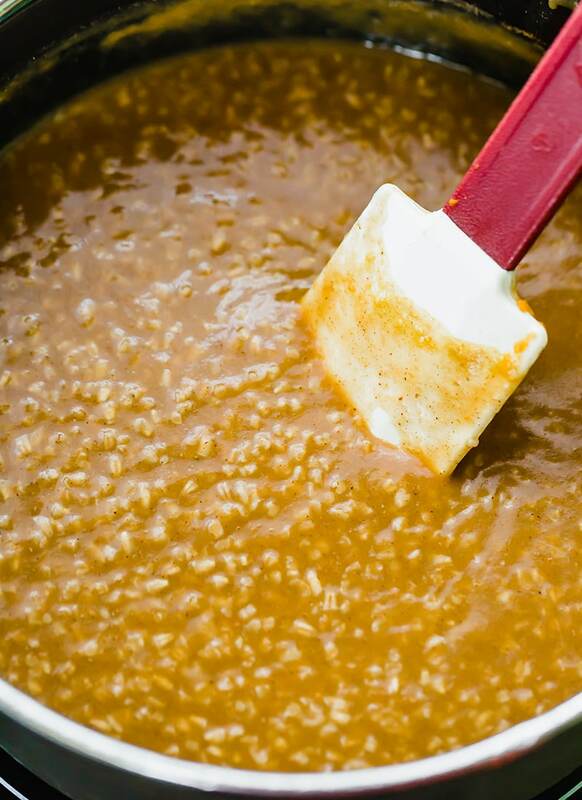 In a saucepan over medium heat add the water, steel cut oats, salt, pumpkin puree, cinnamon, and pumpkin pie spice. Bring the mixture to a boil. Reduce heat to low and let simmer for 20 to 30 minutes, stirring frequently. The longer you cook the oats the thicker the mixture becomes. Remove from heat and let sit for several minutes before serving. Stir in brown sugar, honey , or maple syrup according to taste. Garnish with nuts, craisins, raisins, or any other toppings you desire. Nutritional information does not include sweeteners or toppings. If you are following a special diet, please be sure to check labels for ingredients that may be harmful to you. 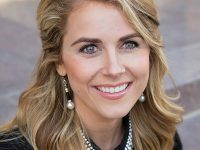 Whitney is the food photographer, videographer, and writer behind the food blog Salt & Baker. 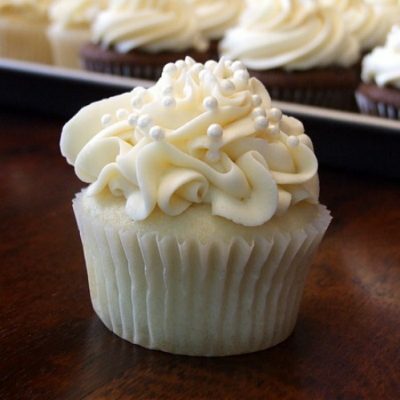 Her blog features sweet and salty recipes! It’s a place where the seasoned chef or beginning cook can go to find classic, easy, and delicious meals or new, exciting dishes! 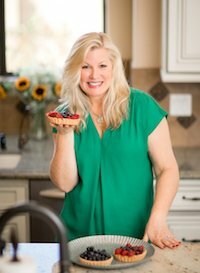 She incorporates culinary education throughout each blog post, so readers learn simple yet beneficial cooking and baking theory. 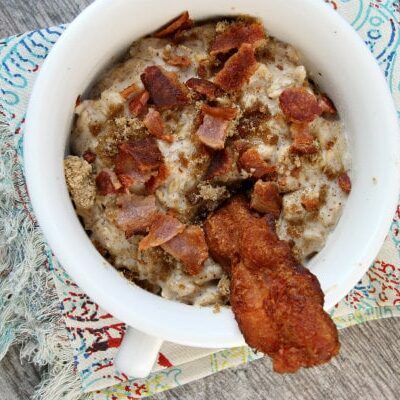 I love oatmeal and want to try steel-cut oats! 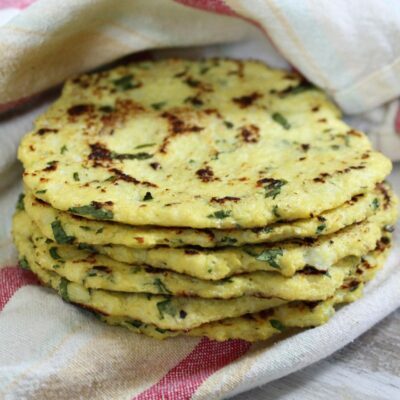 Could I even make these overnight in my slow cooker? Modifications for that? Thanks so much – love your recipes!